Expired 6d ago . Last validated 1wk ago . Used 1 time. 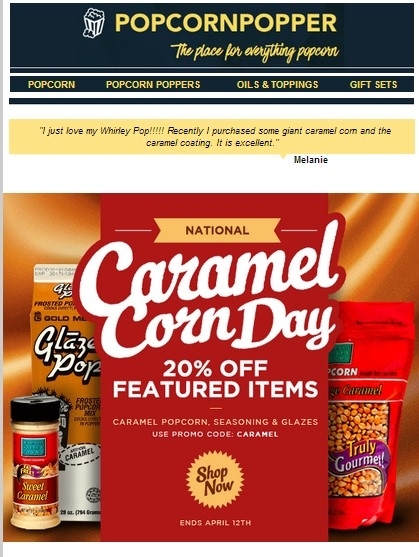 Barbara Lahuerta I am validating that this deal works as described. Enter code at checkout and get discount. 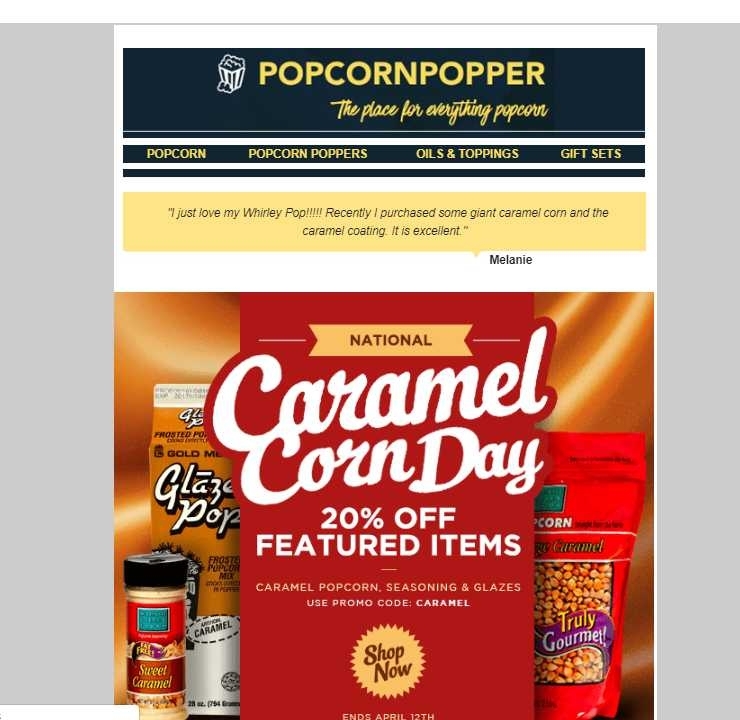 DealsIn Visit PopcornPopper.com and use the code CARAMEL at checkout to be on your way to the perfect sweet snack.